On April 14 the jury of the Croque ton Histoire – Scribble Your Story gathered at the headquarters of Free Press Unlimited in Amsterdam. We got 100 submissions from 6 countries. There was a great variety in the professional level of the participants, but the stories were all compelling. It was not an easy decision to make, but in the end the entire jury agreed on the three winners. Proud of you, mama Augustin [Tarpon]. 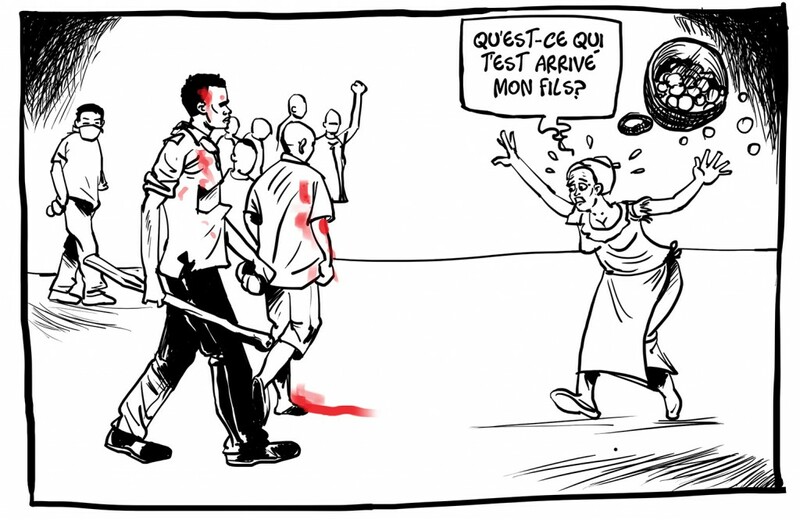 Motivated by his own experience and of the people around him, Illustra Comics shows us how hard it is to be a journalist in Burundi these days. 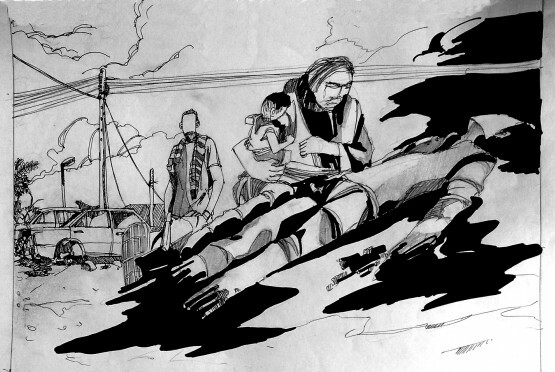 He uses a sober visual language in black and white, with a small dose of red. We see the events through the eyes of the mother of a colleague who disappeared. Anyone in the world can imagine the huge worries of a mother of a missing child. Illustra Comics’ beautiful use of language hits us right in the heart. 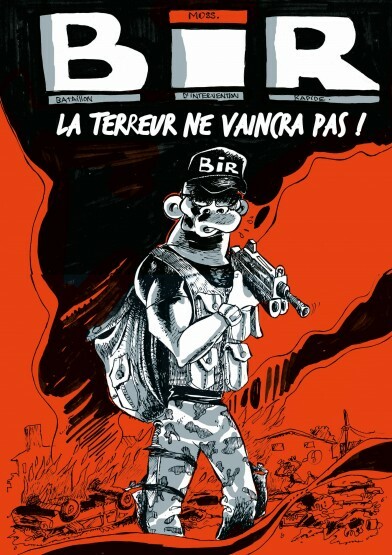 B.I.R Terror Will Never Win. The jury praises Gunther Moss’ wayward and wild style. To report the cruelest events in a humoristic way is a challenge, Gunther Moss succeeds in doing it. It takes courage to make fun of the rulers of your own country depicting them asleep during a crisis meeting. The black, white and red images thunder like a steamroller over the reader. In the end he is pulling the break and leaves us with cold shivers. Let’s consider Clément Keba the Rodin of the competition. His drawings sometimes seem to be wet and unfinished. That doesn’t matter, the roughness makes them stronger. The artist excels in this selection with original images that stick in your mind. The pleasure and love for drawing is obvious. It is an heartwarming concept to tell the stories of those who are not in the circumstances to do so.